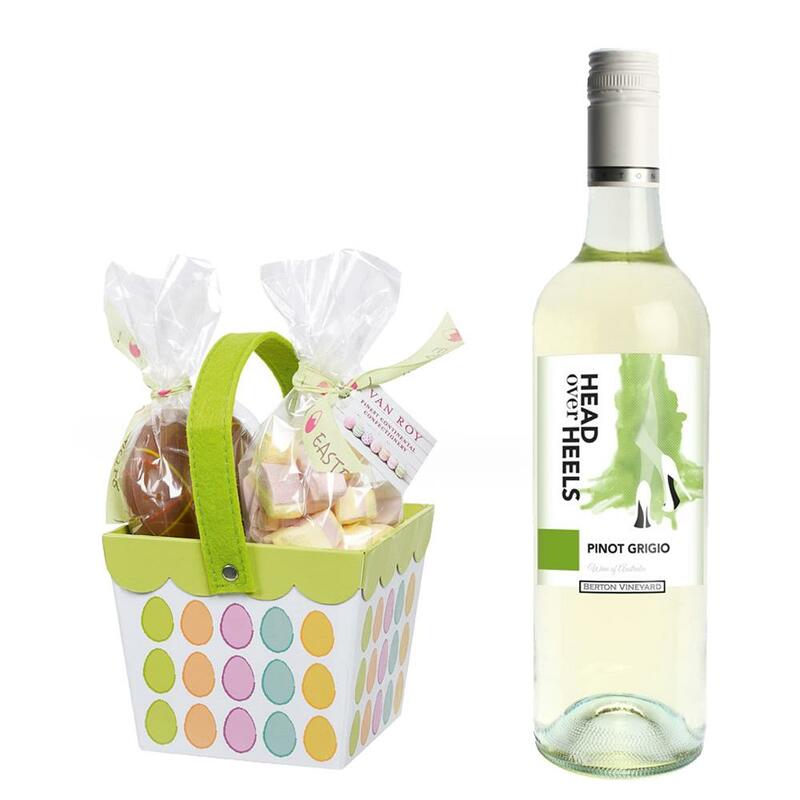 Buy this Easter gift and it comes with a full bottle of Head over Heels Pinot Grigio packed with an Easter basket filled with Van Roy Belgian milk chocolate eggs 6 x 325g and mallows. Head over Heels Pinot Grigio - Australia Pale straw with light green hues, this Pinot Grigio offers up aromas of pear, apple and citrus fruits. Crisp and refreshing with a tingling acidity the palate brings flavours of lemon and pear, which combine to give the palate good length and intensity.